LOS ANGELES – The Los Angeles County Board of Supervisors has directed all departments to stop using a popular weed killer until more is known about its potential health and environmental effects. Supervisor Kathryn Barger recommended the moratorium on glyphosate — a main ingredient in the herbicide brand Roundup. “I am asking county departments to stop the use of this herbicide until public health and environmental professionals can determine if it’s safe for further use in L.A. County and explore alternative methods for vegetation management,” Barger said. 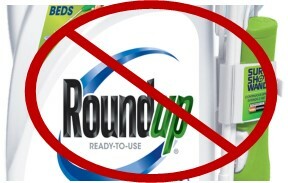 Roundup was developed decades ago by Monsanto Co., now owned by Bayer, and is believed to be the most widely used herbicide worldwide. The motion, co-authored by Supervisor Sheila Kuehl, cites “a growing body of scientific study” of herbicide safety and the potential for negative impacts. The World Health Organization finding has been disputed by Monsanto, and other governmental agencies have stopped short of reaching the same conclusion. The federal Environmental Protection Agency says the weed killer has low toxicity for humans and concluded in 2017 that it is not likely to cause cancer in humans. California disagreed and tried unsuccessfully to force the company to label the weed killer with a warning. The European Food Safety Agency does not agree with the World Health Organization. However, a recent court ruling requires EFSA to disclose the details of its own studies. A jury in a federal lawsuit brought against Bayer by a Sonoma man concluded that his non-Hodgkins lymphoma was caused by exposure to Roundup, the Wall Street Journal reported Tuesday. That panel will now hear evidence related to whether the company should be held liable. The Board of Supervisors directed the Department of Public Works to coordinate with public health and other personnel to survey current use of the chemical and explore alternatives, including identifying best practices followed by other jurisdictions. 1 comment for "L.A. County halts use of popular weed killer on county property"
This information was known well over 20 years ago, and any one who said such things was made fun of and called crazy. Corporations cover up their own corruptions. Monsanto fought and had money invested in key players to silence anyone who came against them. All school have weed killer sprayed monthly. NOW WHAT??? Over vaccination, yet anyone who speaks of such things is called crazy and made fun of and scrutinized…… Small amounts of thermisol won’t harm you, GMO’s in your vaccines do nothing, they arn’t harmful. Injecting small amounts of mercury is fine they say. Eating plants that explode insects due to the insecticides genetically modified in to the plants very structure id perfectly healthy for you.